Shortly after eight species of pangolins were uplisted at the 17th Conference of the Parties (CoP 17) of the Convention on International Trade in Endangered Species (CITES) in Johannesburg, another species we’ve been championing—the endangered Barbary macaque—was voted to be transferred from Appendix II to Appendix I as well. The vote was unanimous. Enacting strong, global regulations will make a real difference for these animals, which are used as pets in Europe, but also victims of poaching and illegal trade. 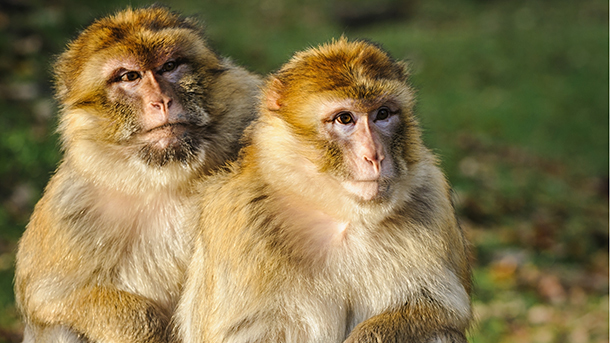 This is a critical step in preventing a further decline in Barbary macaque populations. The Barbary macaque is the only non-human primate living in Europe, where a small semi-wild population inhabits the Rock of Gibraltar in Europe’s most southwestern tip. An estimated 6,500 to 9,100 Barbary macaques are left in highly fragmented areas in Morocco and Algeria, with about 200 living on the Rock of Gibraltar. The species has been categorised as Endangered in the IUCN Red List since 2008 based on an estimated population decline exceeding 50 percent over the last three generations (24 years). We are extremely happy that the CITES parties recognized the threat Barbary macaques are facing and decided to take action.